There’s hope to the south. 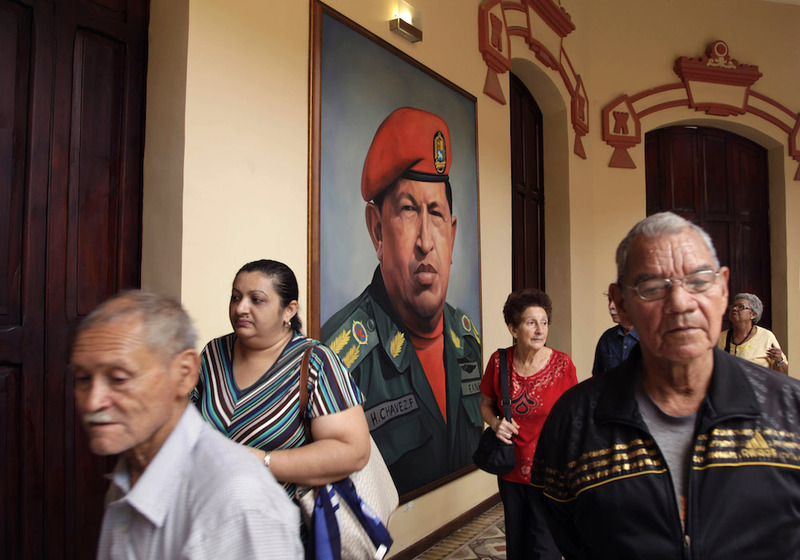 As Europe and the United States are grappling with the rise of bombastic populism, the region that’s long excelled in the genre above all others—Trump may be trying, but he is no Hugo Chávez or Juan Perón—appears to be moving away from it. And if Latin America can shake the virus, there may be hope for all. After more than a decade of populism creep, the region has been fighting back. Latin America has a new crop of political leaders—and, perhaps more importantly, a new generation of activists and government technocrats—setting checks and balances and elevating the moral tone in politics. Over time, the demagogic populist regimes of the 2000s have given way to practical, even boring economic leaders, most notably in Brazil and Argentina. They are not without fault—Mauricio Macri’s family comes with baggage, and Michel Temer’s gender attitudes are somewhat Trumpian—but their administrations are working on strengthening institutions, injecting orthodoxy into the economy, and leaving ideology behind. Elections will make 2018 a key year for democracy in the hemisphere, as Brazil, Mexico, Colombia, and (fingers crossed) Venezuela will decide whether they want to continue to embrace rational governance or take a U-turn into the past. Interestingly, the choice in the region is no longer between democracy and outright dictatorship. It’s between meaningful democracy and authoritarian populism. Even under the latter (as exemplified by the Chavistas in Venezuela and their acolytes in Ecuador, Bolivia, and Nicaragua) lip service is paid to the ideal of democracy, and to the observance of its essential trappings. Take the authoritarians’ widespread reliance on referenda—a self-serving populist means of manipulating the public will. Across the region, the Organization of American States (OAS) is invited to observe national elections to ascertain whether or not they are free and fair. Often considered a dysfunctional multilateral institution, its electoral observation team is one of its saving graces. After over 20 years, they’ve moved past rubber-stamping election outcomes to analyzing the quality of representation. They look at gender, hoping to pinpoint not only how many women run for and win elected positions, but also how many women volunteer in elections (many), and how many have full-time jobs in the electoral institutions (few). The OAS also assesses media activity before, during, and after elections, answering questions such as: “Are the local media independent institutions or beholden to economic or political elites?” “How balanced is news coverage?” and “Do media outlets respect electoral law and regulations”? Electoral observation missions have not succeeded entirely in ridding the continent of demogogic populism, but they have helped show Latin Americans that quality of representation and strength of institutions are important factors in a democracy. This will be important in years to come to ensure that populism does not trickle back in to the countries that have managed to kick it out. This not your grandfather’s Latin America anymore. The region is bucking populism and strengthening democratic institutions and the quality of representation at all levels. Checks and balances are also being set up by idealists working from within. Hidden behind the curtains in governments throughout Latin America are 40-somethings that grew up under hyperinflation and the democratic opening. Some studied abroad, and all are dedicated to serving their country. These technocrats are principally responsible for the economic reforms in Mexico—in telecommunications, energy, fiscal services, and education; anti-corruption pushes in Brazil; freedom of information efforts in Argentina; and human rights advances in Colombia. Take Aristóteles Nuñez, the 47-year-old Mexican technocrat who until recently oversaw the SAT, Mexico’s equivalent of the IRS. He grew up in Tepito, a poor neighborhood known as a black market hotbed. The 1985 earthquake left Nuñez homeless for a while. He went on to one of the top public universities in the country. For the first three years of the Peña Nieto administration, Nuñez worked tirelessly to solve a decades-old problem in Mexico—how to get people to pay their taxes. He established a partnership with the IRS, so that Mexicans could no longer hide their savings on the other side of the border. He hired big data firms to comb through digital financial transactions and flag potentially worrisome amounts. He implemented systems that automatically deposited tax returns in citizens’ bank accounts—if you know the government will give you money back, it’s easy to get in the habit of declaring annually. He took out three-page advertisements in the most popular daily newspapers and listed the names of people and firms who were the most egregious tax-evaders. Naming and shaming gets the work done really quickly. is also working with the U.S. embassy on women’s entrepreneurship initiatives. On a larger scale there’s Sérgio Moro the 44-year-old judge who upended the political system in Brazil. Based in a relatively small town in the southern part of that vast country, Moro has investigated corruption allegations within the national oil company and uncovered a vast network of kickbacks involving the three main political parties. Politicans have had to step down, with some going to prison. Beyond that, there has also been a moral reawakening in the country. On one hand, the Brazilian people are disillusioned with the political system; on the other, they’re hopeful that this will change Brazil for the better. It has been a transformative three years for Brazil. Anti-corruption initiatives pushed by civil society groups are also making gains. The most obvious example is #Ley3de3, an initiative promoted by Juan Pardinas, 45. Pardinas is director of the IMCO think tank in Mexico, which is committed to advocating for the removal of structural obstacles to a more economically competitive and affluent Mexico. #Ley3de3 promoted transparency and open government, and sought to make public servants more accountable to the public by releasing their tax forms and financial disclosures. Proposed by the citizenry, the bill received over 600,000 signatures and was widely popular among businessmen and industry associations. The final version of the law, watered down as it will, was signed by President Peña Nieto over the summer. The challenge now is its implementation, and civil society is on the administration’s heels to get it done quickly. Other NGOS like IMCO are cropping up throughout Latin America, helping strengthen institutions. Brazil has the Congresso em Foco monitoring congress and Agência Lupa, a fact-checking institution. Colombia has Bogota Cómo Vamos, a data-driven citizen initiative keeping the federal and state governments accountable. This not your grandfather’s Latin America anymore. The region is bucking populism and strengthening democratic institutions and the quality of representation at all levels. The U.S. and Europe could benefit from some of the pro-democracy practices developed in Latin America. Indeed, this U.S. election is the first that the Organization of American States will observe. Media conglomerates, electoral officials, and pregnant chads beware. Jana Nelson, a former State Department official in the Bureau of Western Hemisphere Affairs, is currently Vice-President of Speyside Corporate Relations, based in Mexico City. Primary Editor: Andrés Martinez. Secondary Editor: Eryn Brown. *Photo by Ariana Cubillos/Associated Press.